It's time to pull out your worst winter wardrobe and get ready to rock a Holiday season favorite: The Ugly Sweater Party! Grab your friends and get ready to kick off the Holiday week with Buffalo's favorite 80's party band, Nerds Gone Wild! 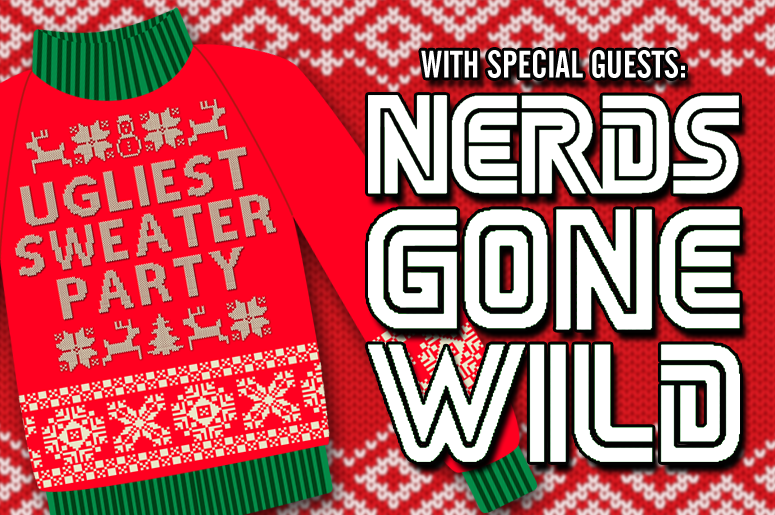 Join us on THIS THURSDAY, December 20th at the Buffalo Marriott Niagara with an epic #ThrowbackThursday Ugliest Sweater Party with Buffalo's wildest 80's band, Nerds Gone Wild. First 200 people through the doors with a non-perishable item will receive a special holiday gift, benefiting The Food Bank of WNY! Photo booth, special guest visits & so much more! Portion of the proceeds to benefit The Food Bank of WNY. Event is 21+ with proper ID required.